Second last week, whew. Due to poor reviews and negative comments (and the fact that it’s airing on Ten), we’ve decided to can our original plan of Touch. Instead, we’re showing more Once Upon a Time. The show is based on the theory that there is an alternate universe where every classic fairy tale character exists – a world that has a loose connection to Our World. 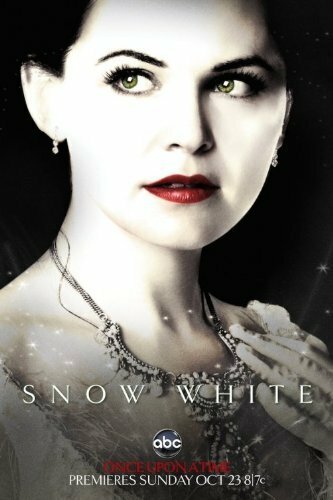 On the night of her 28th birthday, bail bonds collector Emma Swan (Jennifer Morrison) is reunited with Henry (Jared S. Gilmore) – the son she gave up for adoption ten years ago – and takes him back to his hometown of Storybrooke, Maine – a place where nothing is what it seems. Henry has in his possession a large book of fairy tales and is convinced that Emma is the daughter of Snow White (Ginnifer Goodwin) and Prince Charming (Josh Dallas) – who sent her away so she would be protected from a powerful curse enacted by the Evil Queen (Lana Parrilla), a curse in which she is the only one with a happy ending. It’s because of the curse that everyone in Storybrooke is frozen in time with no memories of their former selves – except for the Queen, who is Storybrooke’s mayor and Henry’s adoptive mother Regina Mills. Emma refuses to believe a word of Henry’s “theory” and returns Henry home, but then decides to remain in the New England town…and causes the hands of the Clock Tower to move for the first time in 28 years. 5pm Friday in ChemSci M18. are you showing it from the very beginning? We will be continuing from our first screening at the start of session, so should be around eps 7-8 that we start at.